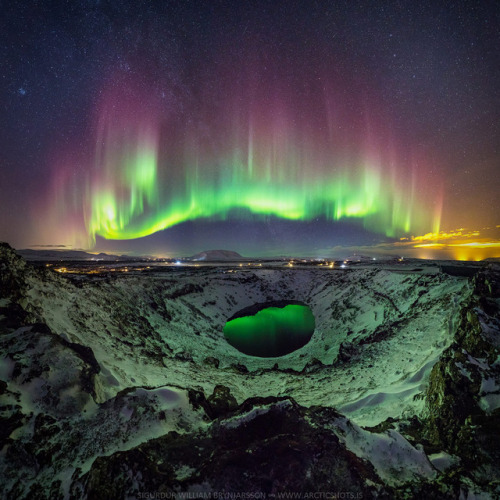 Today the Department of Awesome Natural Wonders is spellbound by this dazzling photo taken by Icelandic photographer Sigurður William. While camping along the edge of the Kerið volcanic crate lake in southern Iceland William captured this spectacular shot of the Northern lights and starry sky reflected on the lake’s surface. Beautiful autumn light silhouettes a stag.